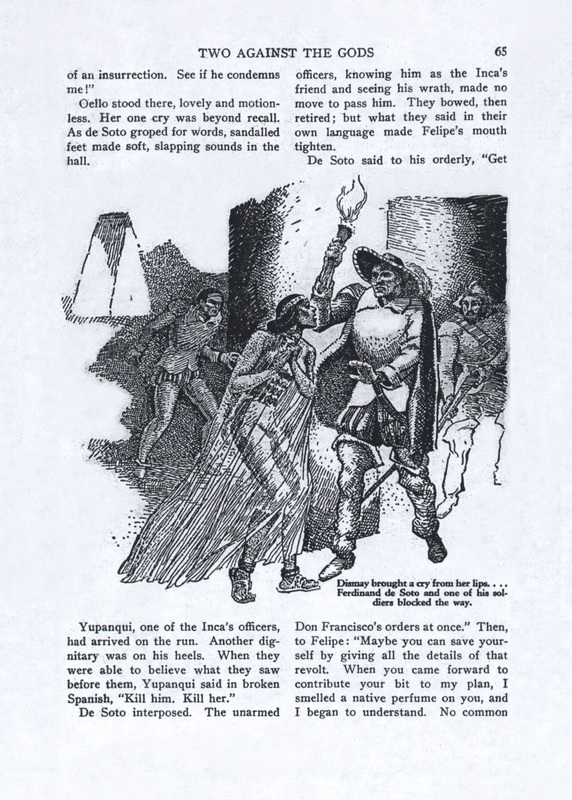 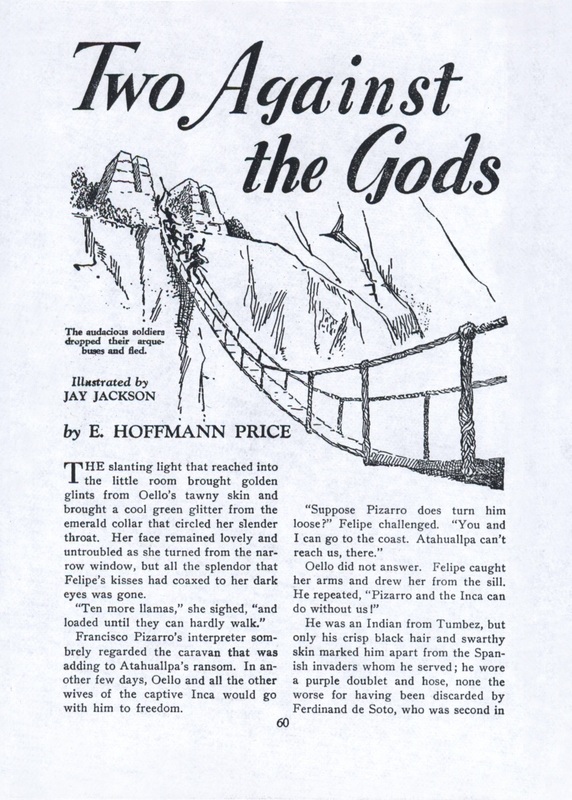 It is unlikely this cover illustrates “Two Against the Gods”, which is set during the Spanish conquest io Peru. 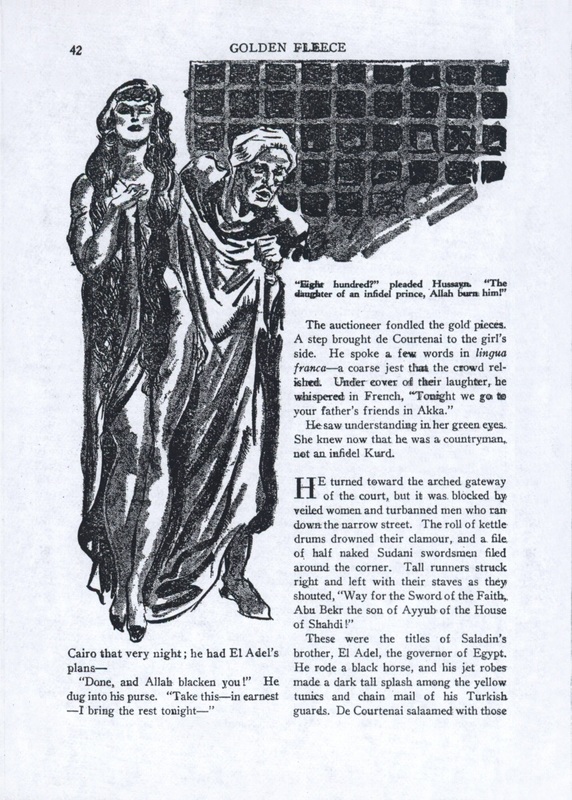 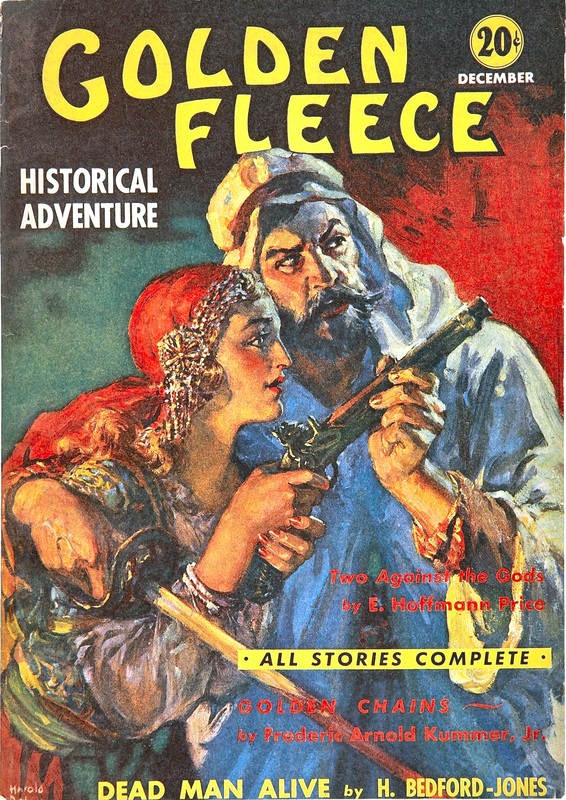 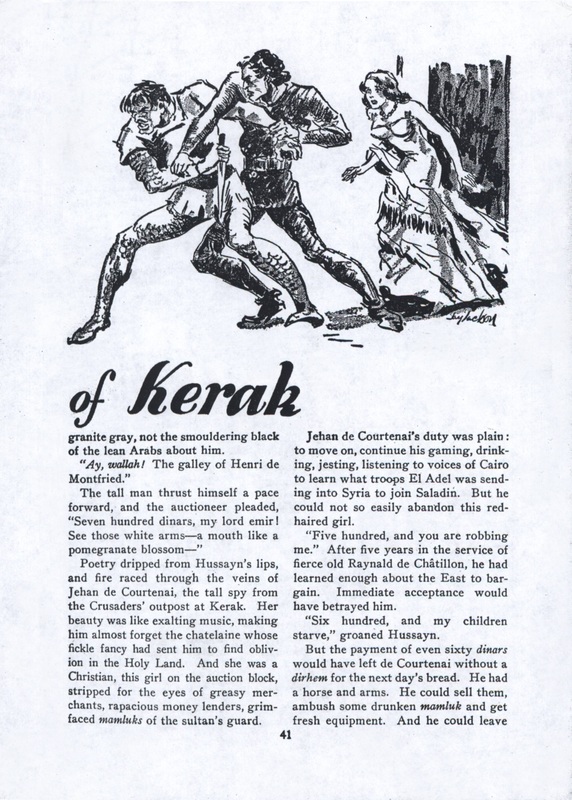 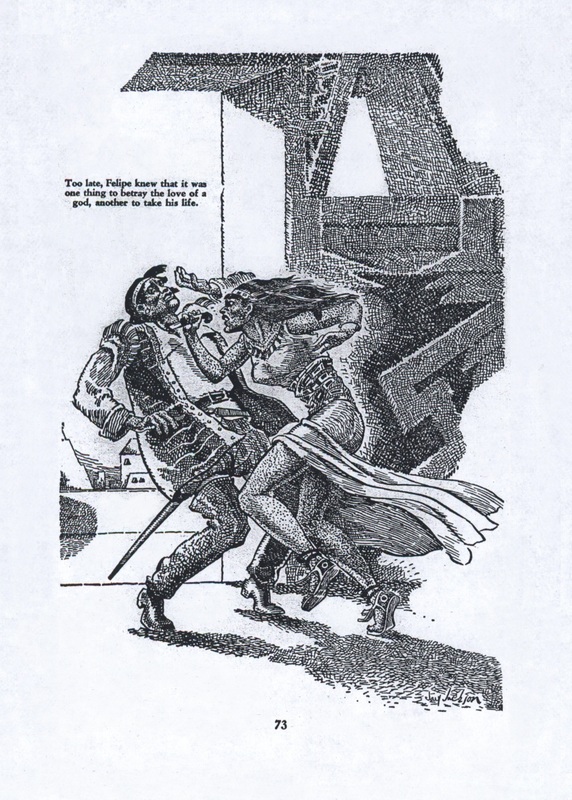 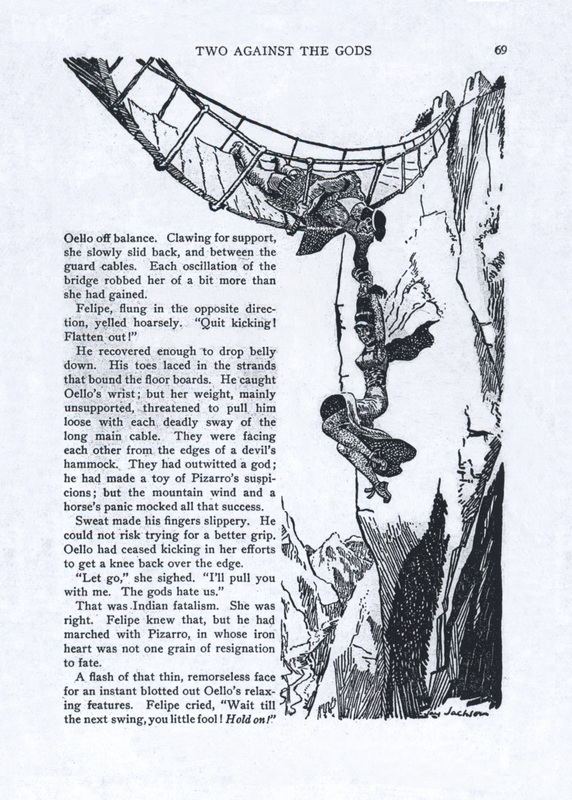 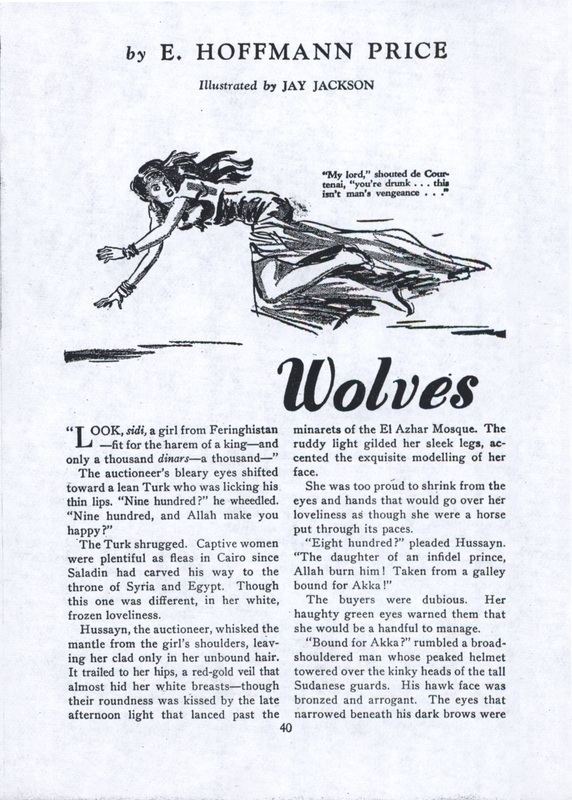 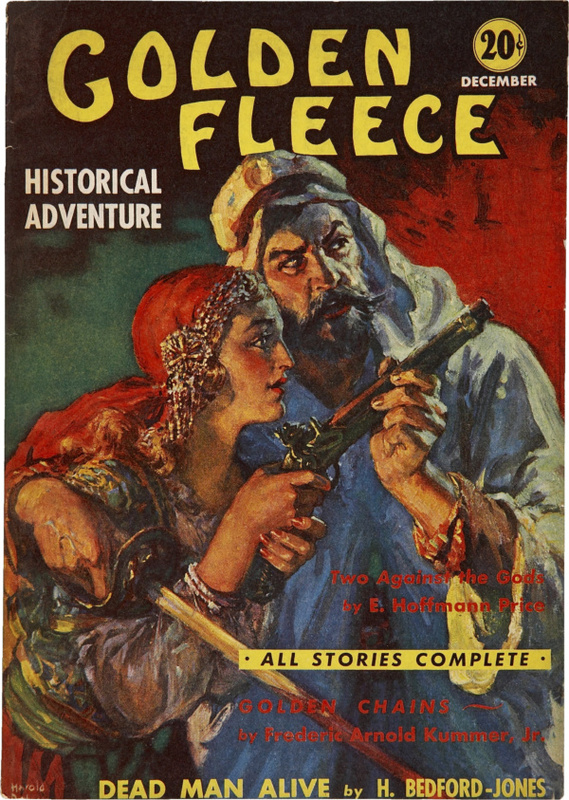 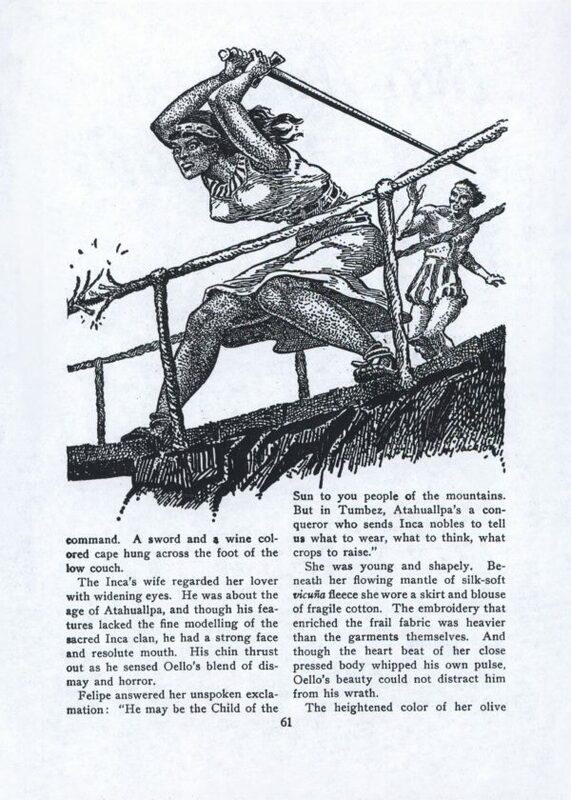 Although not noted on the cover,there is another Price story, in this issue, “The Wolves of Kerak”. Since it is set in the middle east during the crusades this is likely the cover illustration.